But there have always been benefits down here, even if people weren’t immediately aware. And, thankfully, direct benefits are easier to point out today than ever before as we see the use of GPS, weather satellites, and mapping technologies regularly in developed countries. Those benefits always existed, mind you, but it’s just easier when you can point at the cellphone in someone’s hand and say “that’s talking to things in space as we speak”. Before those cellphones became ubiquitous we had to explain the fact that NASA was a driving force behind technologies in dozens of fields that made the world safer, healthier, and more comfortable for everyone down here. In fact, as people say we should be trying to make things better down here they often do so by talking about putting more money towards developing technologies NASA has played a vital role in like solar cells and water purification systems. But thankfully there are people who still see the benefits of going to space even if it may be hard to get the public at large to care. Private corporations, long understanding the benefits they’ve drawn from space, have been making strides in lowering the cost of entering space because that, in some regards, could be one of those looser definitions of a singularity. 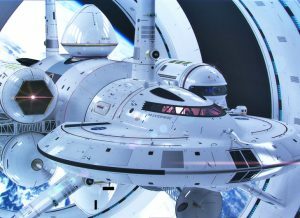 The act of making space travel cheaper and more efficient would open up possibilities that would be hard for most people to fathom. Cheaper launches would mean getting materials in and out of space that are currently too heavy for us to move effectively. NASA recognized this need with their efforts to create a reusable vehicle like the Space Shuttle and, though their budget has been woefully thin in the last few decades, they did manage to use that vehicle to construct the ISS. Given a more robust and efficient system, this would make us capable of constructing more sophisticated facilities in space that could lead to things such as better power generation, access to untapped resources, and easier efforts to colonize space. 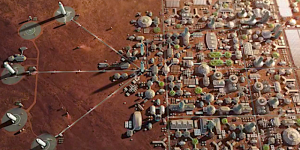 And while we tend to talk about the benefits of colonizing space in terms of ensuring the long term survival of humanity, the technologies developed to make it possible to live on another planet are the same sorts of technologies that will lead to more comfortable living down here. Colonies will face challenges in recycling their resources, controlling their environment, and purifying contaminated resources which will go far in helping people here. In fact, one of the greatest challenges facing a Mars colonization is the fact that Mars’ soil is heavily contaminated with a kind of salt known as perchlorates which are incredibly toxic. 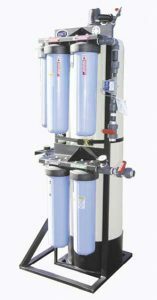 And, while this sounds like a danger found only on alien worlds, the fact is that perchlorate contamination is found in food and water here on Earth, but the process of eliminating them can at times be prohibitively expensive. Once again, the challenge of expanding into space would necessitate solving a problem that is found here as well. Further, being able to mine those resources throughout our solar system could lead to a lot of benefits too. There are asteroids in our solar system which possess greater amounts of minerals and metals than can be found even here on Earth. For instance, those perchlorates that Mars is covered in happen to be damn good for production of fertilizers, oxygen, and propellants – and only one place on all of Earth, a small section of the Atacama Desert in Chile, has concentrations even comparable to Mars. Meanwhile, the asteroid 433 Eros (famous to most people for its role in The Expanse) is actually an asteroid covered in aluminum, gold, and platinum. 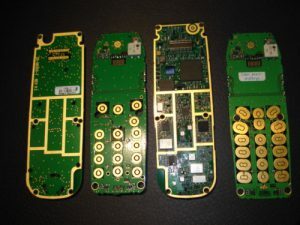 And for as much as that sounds like “going to space for jewelry” – it’s worth noting that most sophisticated electronics make use of these materials and that even your cellphone has about 50mg of gold in it. But the real game changer of efficient space travel would be the beginning of mega-structures. The most commonly known of these would be the space elevator, a cable stretching from a station on the surface of the Earth out to a counterweight thousands of miles into space. Before you even construct the space elevator, the materials required to make such a cable would be game changers on their own, allowing us to construct things that are too hard to build today such as arcologies (which would greatly reduce the impacts of things like urban sprawl). 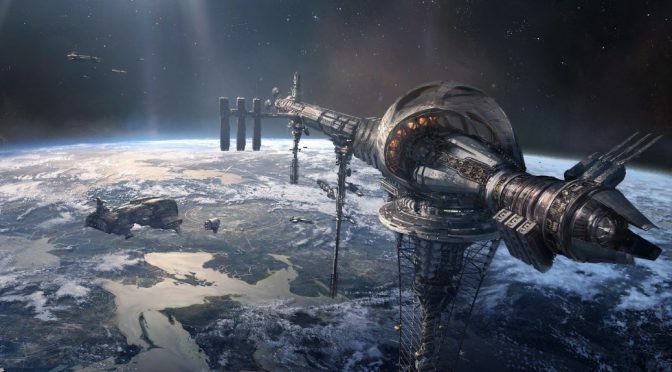 While the benefits of the space elevator to travel is obvious from the start- essentially eliminating the need for conventional launches, the benefits to everyone down here are often overlooked. The most obvious would be the transport of those materials mined elsewhere in the solar system as it would make it easier to get materials off of those other objects and back down here. But the elimination of rockets would effectively drop the price of the cargo transport to the point that we could start building other projects. 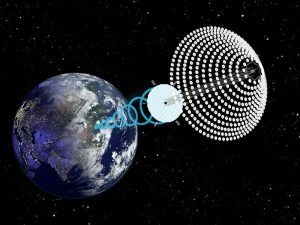 One of the more rational of these projects would be the construction of space-based solar power stations. With the debate over the feasibility of solar power generally boiling down to its shortcomings vs its benefits, it’s actually worth noting that the shortcomings essentially vanish in space. Three of the greatest challenges facing solar panels are weather, atmospheric refraction, and the day-night cycle. But space based solar satellites would fly above that weather, outside of the atmosphere, and potentially so far out that the sun would be available at all times as the Earth spins on. While the space elevator itself wouldn’t transfer the energy down from these satellites (microwave transmission is usually the method of choice in proposals), the elevator would make these satellites possible. Though the efforts of organizations like SpaceX are making launches cheaper, the fact remains that building these sorts of arrays would take thousands of launches to be able to put enough panels into space to power the world. Even with their fantastic reusable rockets, that’s millions of dollars per launch. But a space elevator? Pennies on the dollar. Would definitely follow the spirit of the singularity.